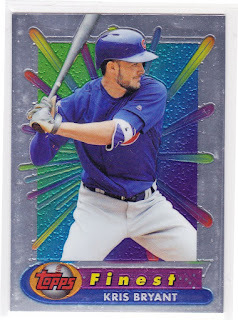 With a product like 2017 Topps Finest, collectors have bold expectations for the set to deliver on return and design. Sandwiched in between the release of 2017 Topps Archives Baseball and 2017 Topps Series 2, Topps Finest looks to stand out amidst two of Topps’ flagship products. Immediately noticeable alongside the Chrome finish is the powerful background that pushes the players seemingly through the card, putting you up close and personal with the action. 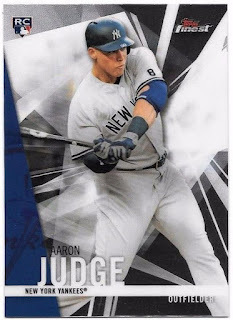 The 125-card base set is succinct enough to hit all of the top stars, while also including the coveted rookies of Aaron Judge and Andrew Benintendi; however, set collectors will find issue with the 25 short prints, as they appear once only every four mini-boxes. Despite the frustration of set collectors, most who will purchase 2017 Topps Finest are looking for what they can hit past the base set. A unique twist that Topps put on this year’s release are the inserts modeled in the design of the 1994-95 Finest Basketball set, a nod to when collecting both leagues were more closely aligned. This insert set also has autographed parallels, which are sure to attract collectors that pursued the basketball card set in their youth. 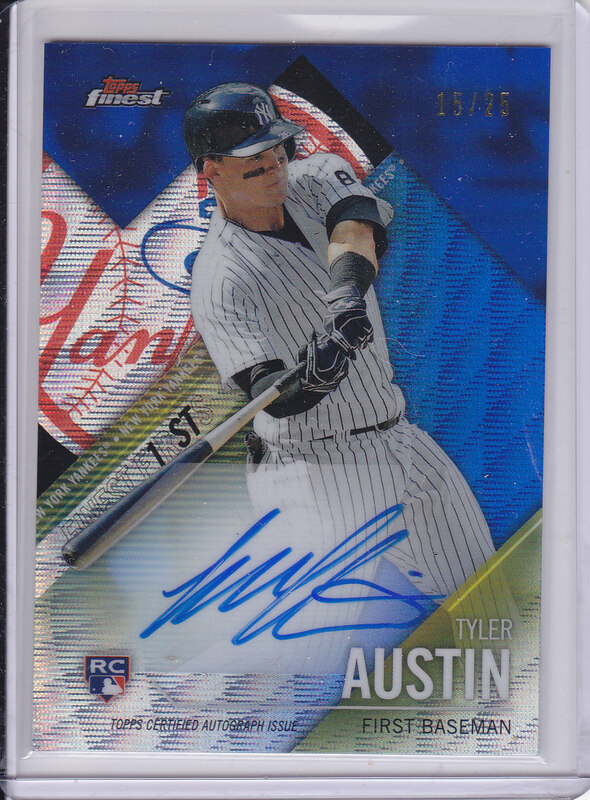 A tiered system of 2017 Topps Finest autographs that contain refractor parallels are the most readily available signatures from this set. With the parallels coming in eight different colors of increasing scarcity (Blue, Green, Gold, Blue Wave, Red Wave, Orange, Red, and SuperFractor), the chase of completing a “rainbow” of Aaron Judge, Barry Bonds, Derek Jeter, Ken Griffey Jr., Kris Bryant, and Mike Trout, will keep collectors pouring into this product as the cards hit the market. The Finest Finishes autograph insert set, which commemorate historical endings in baseball history, boasts an autograph lineup of the likes of Cal Ripken Jr., Hank Aaron, Nolan Ryan, Ozzie Smith, Pedro Martinez, Reggie Jackson, and Sandy Koufax. These cards serve to keep the conversation going about why these moments have persisted in the minds and hearts of fans and collectors worldwide. Each master box (two mini-boxes) guarantees two autographs. The box provided for this review yielded not two, but three autographs, including one Finest Finishes of Jake Arrieta, which I am sure is celebrating his 2016 World Series performance. 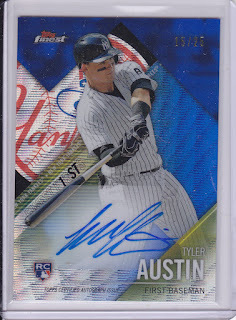 Also included were multiple base card refractors, two refractor parallels, three Breakthrough Inserts, as well as, yes, an Aaron Judge rookie card. 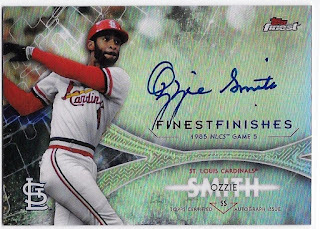 If collectors are looking for a product that supplements its impressive autograph set with equally attractive base cards to match, and are willing to pay a premium to do so, 2017 Topps Finest can easily satisfy a wide palate of collector’s tastes. 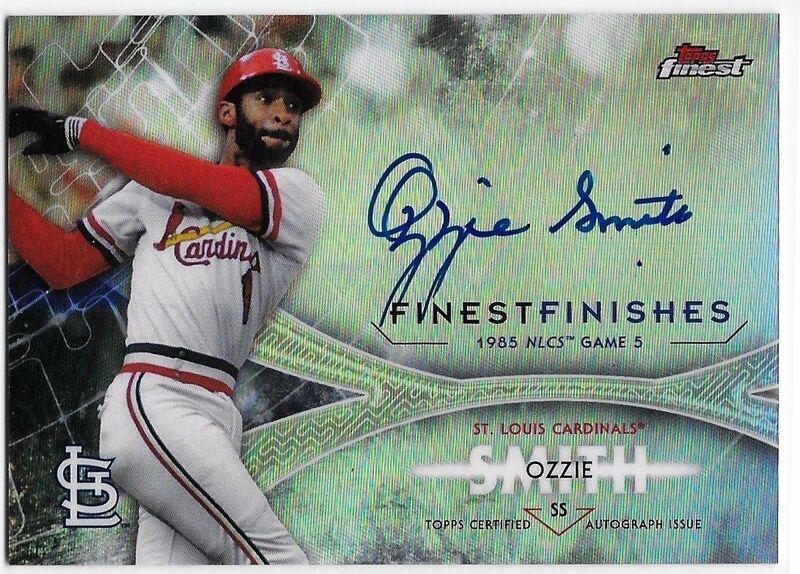 For those who enjoyed 2017 Topps Finest, click here to check out our 2018 Topps Finest Review, complete with checklist, parallels, autographs, and more.